We have come so far, but we still have a ways to go…Please remember rehearsal is until 8:00 PM Monday- Wednesday this week. These were marked as mandatory rehearsals, so please make sure you are there. Rehearse your lines, choreo, blocking, etc. There’s no more time to re-teach choreo. If you don’t know it, you will be removed from that song. Anybody volunteering at least one hour will receive a “Reserved Seating” sign to be used any day you like. Please consider helping out if you are able. We will need LOTS of water for our productions. We MUST keep hydrated. Parents- if you are able to send any large packs of water, it would be greatly appreciated. We will need about 100 bottles of water per production…so about 500 total. I know it sounds crazy, but we don’t want anyone passing out on stage…those lights are intense! Thursday, April 25th- Opening Night: Students should plan on staying after school to begin hair and make-up. Girls will have the portable to work in while guys will have the dressing room. This is 6th/7th Grade Potluck Day. 6th and 7th Grade Parents, please provide food/snacks for the students to eat before the production begins. Please remember that students will not be home until close to 10:00, so this will likely be their dinners. We’ve never had too little food before, but I try to always be safe! Students should plan on staying after school to begin hair and make-up. Girls will have the portable to work in while guys will have the dressing room. This is 8th Grade Potluck Day. 8th Grade Parents, please provide food/snacks for the students to eat before the production begins. Please remember that students will not be home until close to 10:00, so this will likely be their dinners. We’ve never had too little food before, but I try to always be safe! Students should be at school no late than 11:00 AM to begin hair and makeup. Showing up at the last minute will result in removal from the matinee show. Students should come with full tummies! After the 2:00 PM production, lunch will be provided to the students. We have also decided to move our cast party between the 2:00 PM and 8:00 PM show. Students should plan on staying at school between the two shows. This week is going to be crazy, and I thank you all in advance for dealing with the crazy!! Don’t forget! Parents can purchase these ads to make a “break-a-leg” wish for their student. Ad sales are due on Monday, April 15th to be ordered in time for the show. This must be submitted by April 12th in order to be included in the Playbill. Please make sure to do this with an adult who can proofread what you’ve written. You do not want spelling and/ or grammar mistakes here. Originally, costumes were due on March 14th, but the cheerleader costumes caused some issues. Let’s have costumes ready to go by Friday, March 29th. As usual, if your costume hasn’t made it in yet, please send me a delivery notice showing that it will be here prior to the show dates. I’d like to start rehearsing in shoes to make sure they are nice and broken in. Let’s get those ASAP. There’s a shoe rack in the dressing room, so students can leave them there. My suggestion is to write your name on the bottoms of your shoes. The dressing room can get crazy, and items can be misplaced. Let’s be proactive so that no one else accidentally takes items that don’t belong to them. Only 7 weeks to go!! Students- please look over the scenes BEFORE coming to rehearsal. Familiarity with the script will make the blocking process go MUCH faster. Please PLease PLEASE rehearse your music and choreography consistently. Remember, you can be removed from a track if the choreography is completely unknown at a later rehearsal. As always, you MUST be logged in with your pfisd account to access the material due to copyrighting. Any request for access outside the pfisd network will be denied. Congratulations to the cast and crew of High School Musical JR.
Once again, Mr. Browns and I would like to thank and congratulate ALL who came to audition this week. You guys are all amazing, and we wish we were able to cast everyone. We are always impressed by the talent, professionalism, and spirit you all show us at each audition. Before you open the cast list, take a deep breath and remember to be grateful for all you have…no matter the outcome of this middle school production. So, because of your immense talent, we’re going a little crazy!! You guys literally had us in a place of indecision, so we have added a Saturday Matinee performance at 2:00pm on the 27th. We will be double casting a few roles to show off the CRAZY talented theatre students here at Kelly Lane. If you have been cast, there is a parent information meeting on Monday at 6:30pm in the cafeteria. We will be reviewing expectations, food options, communication, and we will answer any questions you (and your parents) may have. This will also be your role acceptance. We would love to have as many parents as possible there! However, we understand that your parents may be unable to make the meeting. Please come see me during Catapult to get the information packet for you and your parents to review AND to sign your role acceptance. If you do not accept role your by the end of the day Monday, we will be making calls to other students to replace you.. PLEASE PLEASE PLEASE take care of your responsibilities! Students, at the meeting please bring a 1-inch binder with a transparent front with a pencil bag inside. This will be for your script. All music is being uploaded to Google Drive for you to begin rehearsing. We will go over all other info on Monday at 6:30 pm in the cafeteria! Tuesday, January 22 @ 6:00pm. Students should sign up for only one day to audition. We will audition until the last student has finished. All materials must be completed in order to audition. 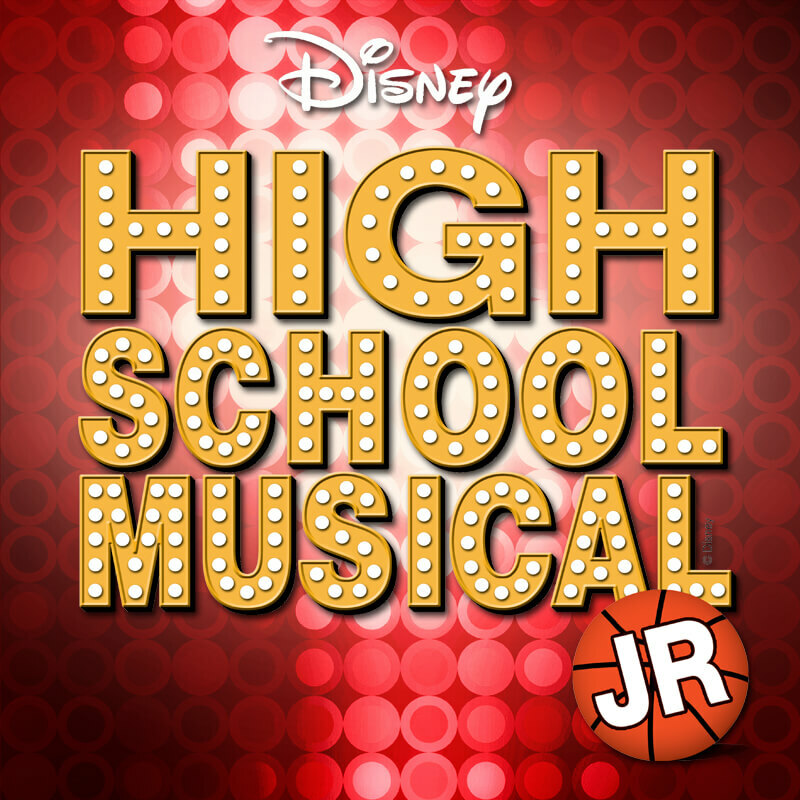 The link below provides audition music for the 2019 KLMS Musical, “High School Musical Jr.” Everything is divided by character, including the audition sides. Please remember that you MUST be logged into your PfISD Google Account in order to access the Google Drive. Any e-mail addresses requesting permissions will be denied access due to copyrighting. Audition sides for individual characters are listed below by character name. Ensemble auditions do not require any reading. The roles of Ms. Darbus, Coach Bolton, and Jack Scott do not require any singing. The roles of James, Susan, Cathy, and Cyndra are “bad auditions” during the musical. Those roles will not be required to sing with the music. Terrible a capella singing will be fine. Remember—if you’re auditioning to be awful, sell it! !